Each year 7LIVE at the Sydney Royal Easter Show and the Royal Melbourne Show aims to bring new and exciting experiences the public to enjoy. With over a thousand users engaged each day throughout the event, we were tasked with creating a series of fun experiences for all ages to enjoy, allowing for social sharing and leaving a positive impact on show goers. 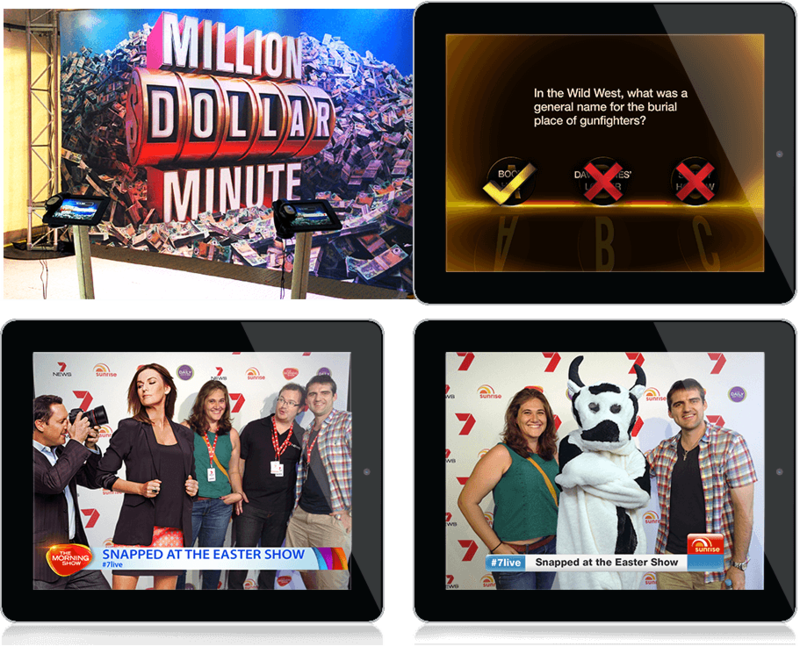 Utilising our mediaEngine and videoXperience products, our team builds and runs the technology and production behind the scenes, bringing to life an interactive experience to drive engagement of the public with the Seven West Media brand. From being filmed reading the news live on set, to taking photos with their favourite Seven personalities, to delivering the weather with the aid of a green screen, the public is immersed in the entertainment-filled world of Seven West Media. Steptember is an annual month-long fundraising and awareness event organised by the Cerebral Palsy Alliance of Australia which raised over $8.7million globally in 2017. Want your audience to create content for you?